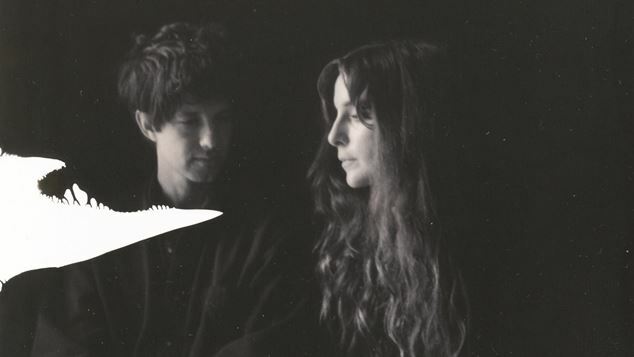 Victoria Legrand and Alex Scally began making music as Beach House in 2004 and earlier this year released their seventh album, which saw them embracing a different methodology for making music. In 2019 they’ll be heading to Western Australia bringing their lucious indie pop for the Perth Festival. Graeme Watson chatted to Victoria Legrand ahead of their tour. While their latest album is less than a year old, fans have just been treated to a fresh new track Alien, a stand alone single that was recorded during the sessions for their last album. Legrand says the song is no left-over though. For their seventh record Legrand and creative partner Scally tok a different approach than on their previous records. “The biggest change was just the desire to change from what we’ve done in the past. We had a lot more control and were able to have freedom, and we were able to capture things we were doing in a much more rapid way, we spent a lot more time experiment. It’s something we’ve always wanted to do, but never have.” Legrand said. In the past the band had made demos of tunes and then gone into the studio to make the final versions, this time they progressed the work they were doing from first sketches through to being the finished product. The duo have just played the songs live for the first time on a UK tour, and fans never know what’s going to be played at a Beach House show, every night the band plays a different set list. The band have a request list on their website and fans in each city can vote for which tunes they want to hear. Legrand said as she travels the globe she finds it intriguing to discover which songs are liked in each individual city. After over a decade and a half of work working together with Scally, Legrand says the secret to a successful creative partnership is friendship and love. “Friendship is the most powerful connection between any given person and another, friendship is the strongest base of any human relationship. Whether it’s man-woman, woman-man, man-man or woman-woman. And love is powerful, it’s important to realise that sometime we meet people who challenge us, and we should always go towards the paths that are more challenging. Comfortable is wonderful, but it’s also dangerous. “I got lucky I found someone who I want to collaborate with constantly but sometimes you can be infuriated by somebody, but you can also be grateful that they make you rise to the occasion. You need comfort, but challenges too, fire and water! Graeme Watson, image Shawn Brackbill.